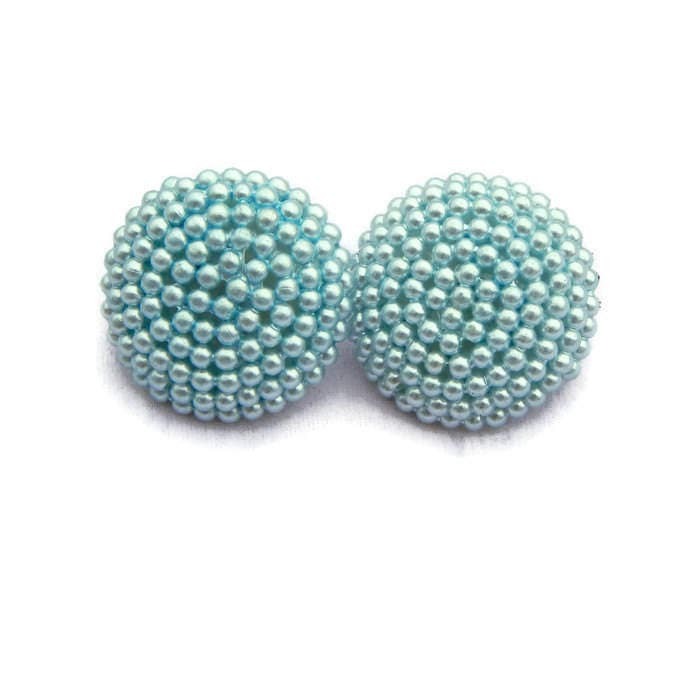 Made from vintage buttons, these large blue pearl covered earrings are sure to make you feel like a vintage vixen. 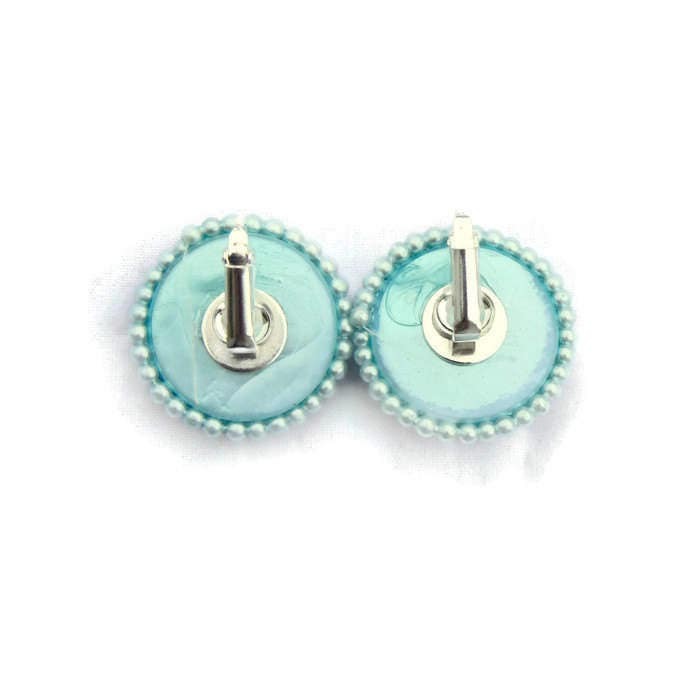 The button is covered in tiny light blue pearl beads and secured to a clip on style earring back. These earrings are large at 27 mm in diameter or approximately 1.06 inches.